We are pleased to share some great news. Over the past couple of weeks, we’ve been honoured with several awards from our respected colleagues at research firms Brandon Hall Research and Talented Learning. For many years now, Brandon Hall Research has conducted an annual Excellence in Technology Awards program. We’re pleased to have been awarded Gold for Best LMS for a Training Company. This is a reflection of the Absorb LMS eCommerce capabilities, along with our other flexible features that support companies that want to use Absorb to sell training in a B2B or B2C environment. We also received a Silver for Best Advance in LMS. This a great recognition of our overall leadership position in the LMS Market. We are thrilled to add this to our previous 6 awards in this category! Talented Learning is another consulting and research firm focusing on the Learning Technology industry. 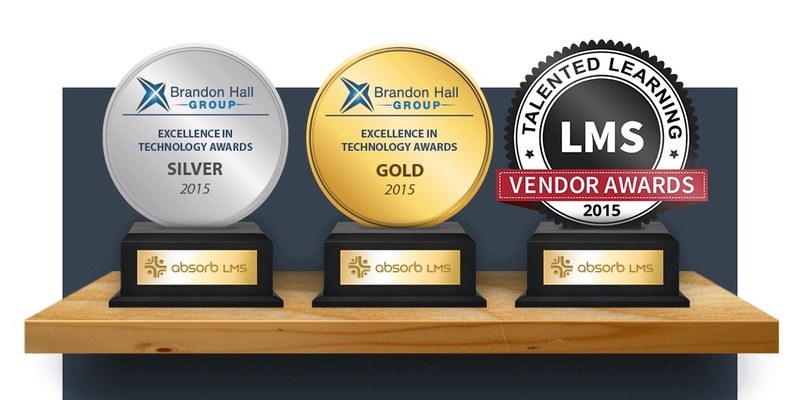 They’ve just published an extensive list of 2015 LMS Vendor Award-Winners. We are very pleased to have also received honourable mention in the categories of Best Employee Compliance LMS, and LMS Sales Star (given to our VP of Learning Solutions, Dan Medakovic) – a recognition of the calibre of people we have focusing on client needs. For more information on all of our awards, including our distinguished Smartchoice® Best In Class LMS Vendor Certification, please see our Absorb LMS award page. 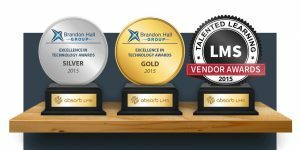 Thank you to our consulting and analyst friends at Brandon Hall Research and Talented Learning for this recognition of our dedication and hard work, and congratulations to the entire team at Blatant Media.